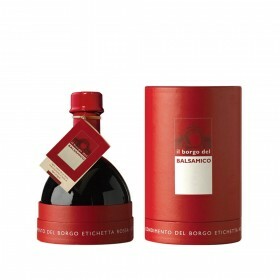 Traditional Balsamic Vinegar is extracted from the casks where it has slowly matured only after at least 12 years. 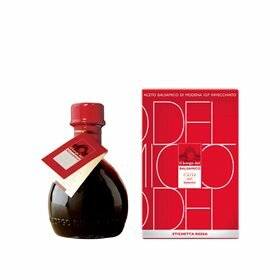 Expert tasters then decide on its ranking according to two different categories Affinato (aged) or Extravecchio. Classification follows strict quality criteria for both production and end product appearance, aroma and taste. 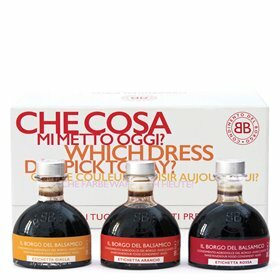 Traditional Balsamic Vinegar is a blend and lays in different woods cask (oak, juniper, cherrynut, chestnut, acacia, frassino). 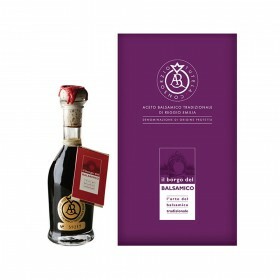 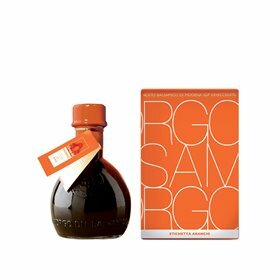 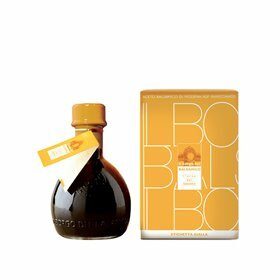 TRADITIONAL BALSAMIC VINEGAR OF REGGIO EMILIA ORANGE LABEL / AGED. 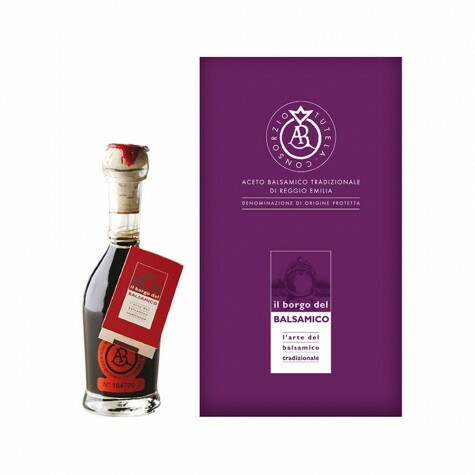 Pungent to the taste buds, the slightly acidic tang of Orange Label Balsamic blends flawlessly with the aromas yielded by the different wooden casks in which it has matured. 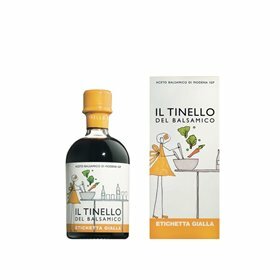 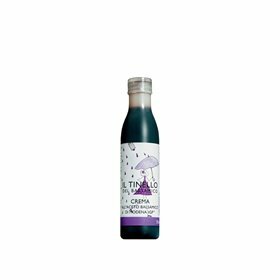 Its sharper bouquet makes it ideal for flavouring marinades and dressing fresh greens; it can also undergo brief cooking to enrich sauces and gravies. 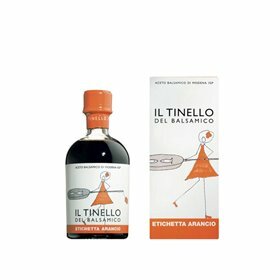 Aged more than 12 years.